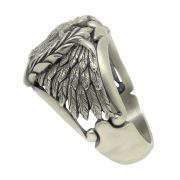 SKU: SS 054. 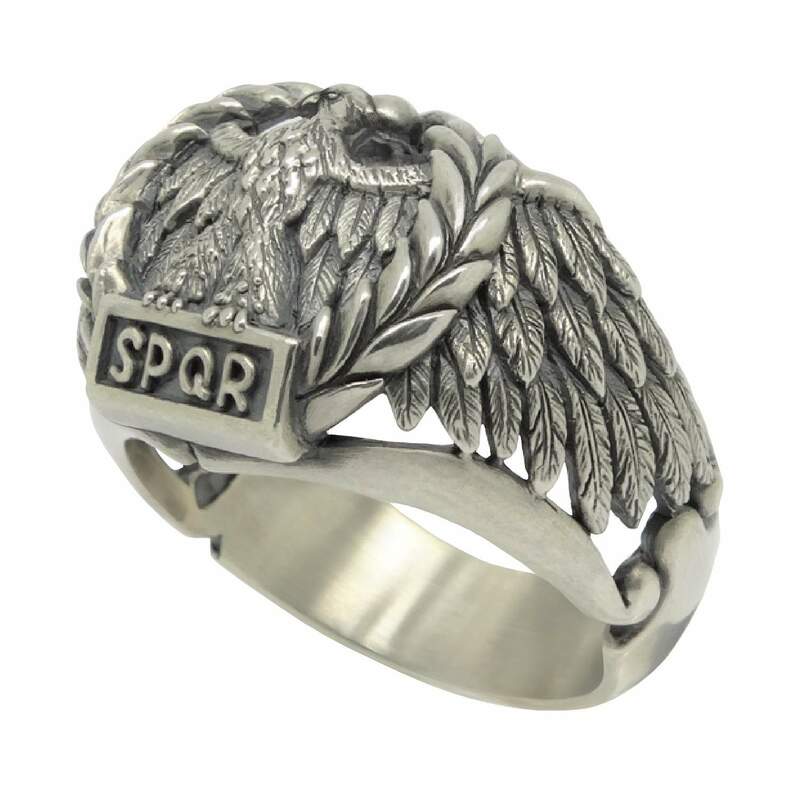 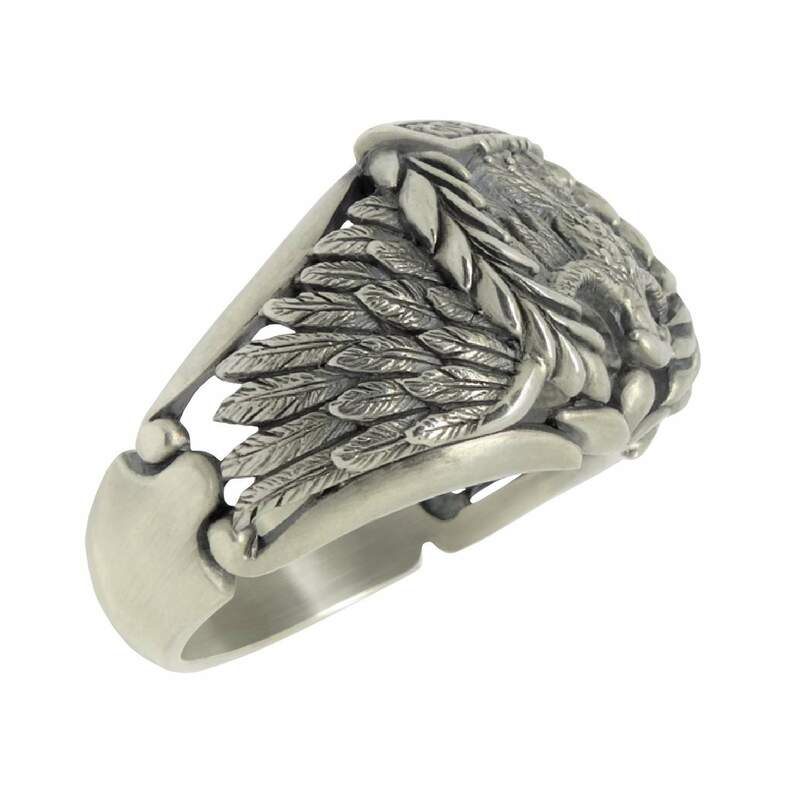 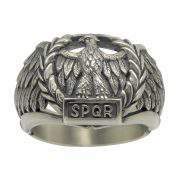 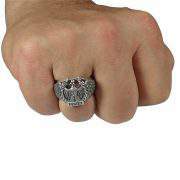 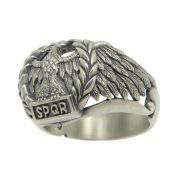 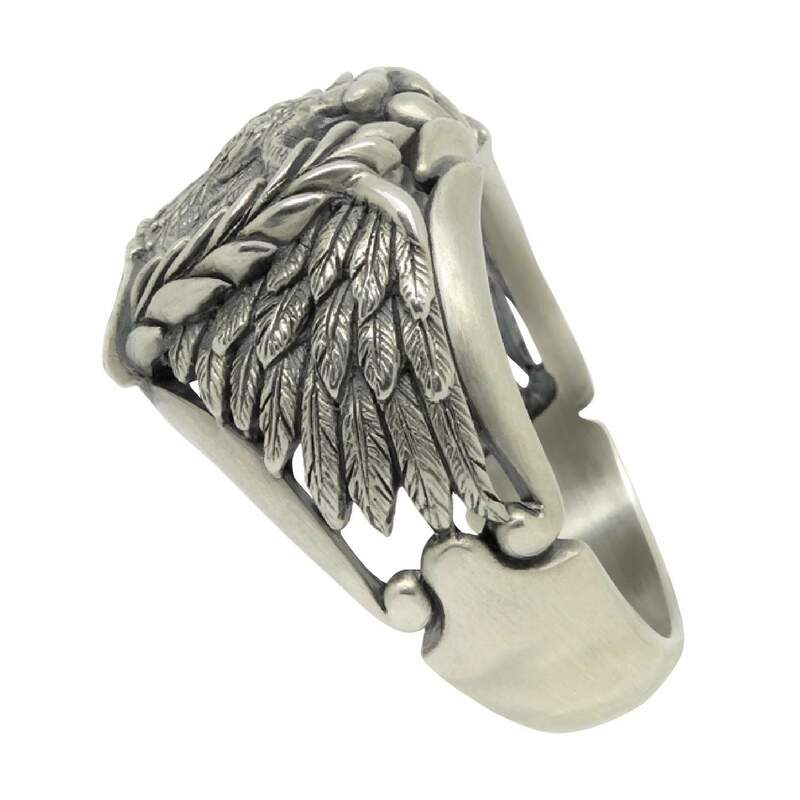 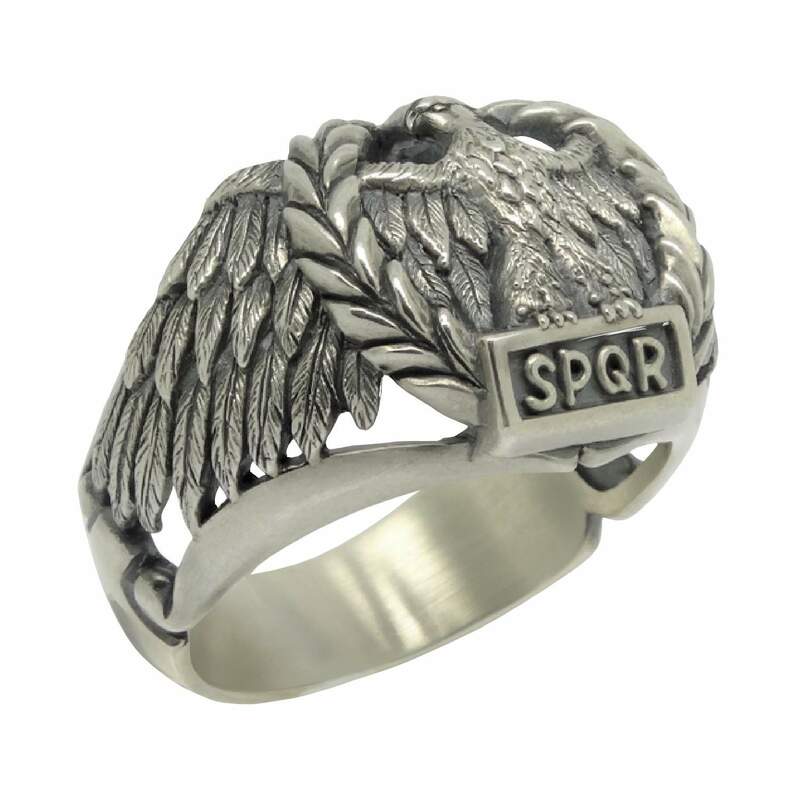 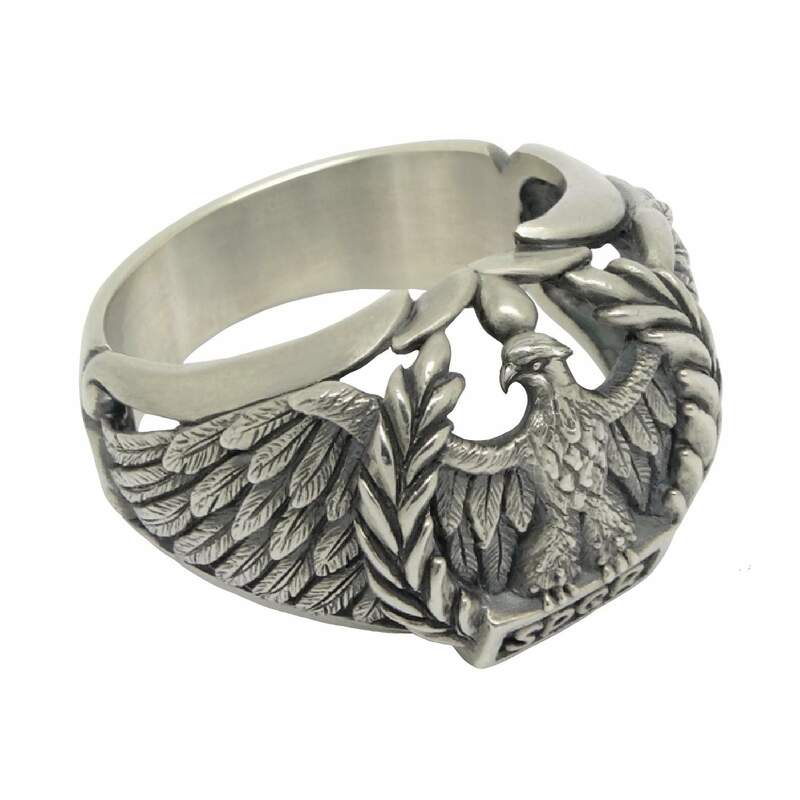 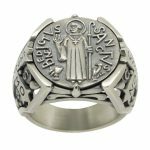 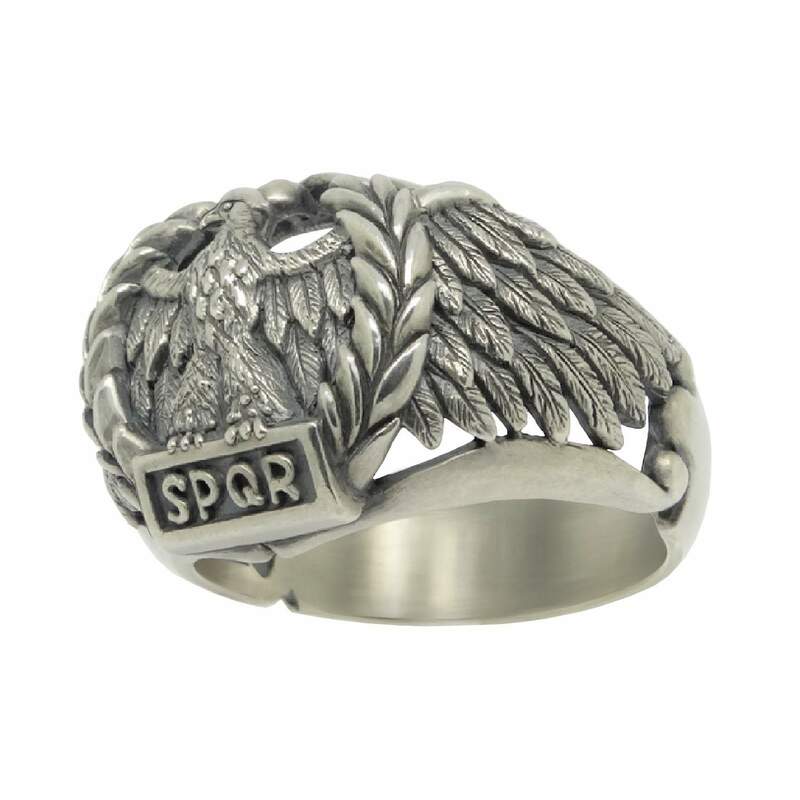 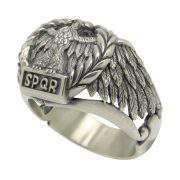 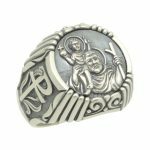 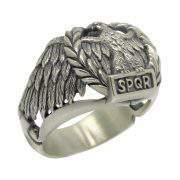 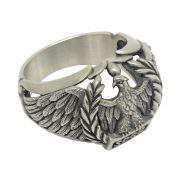 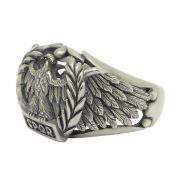 Categories: MILITARY RINGS, ROMAN EMPIRE, RELIGION, MASONIC, BIKER RINGS. 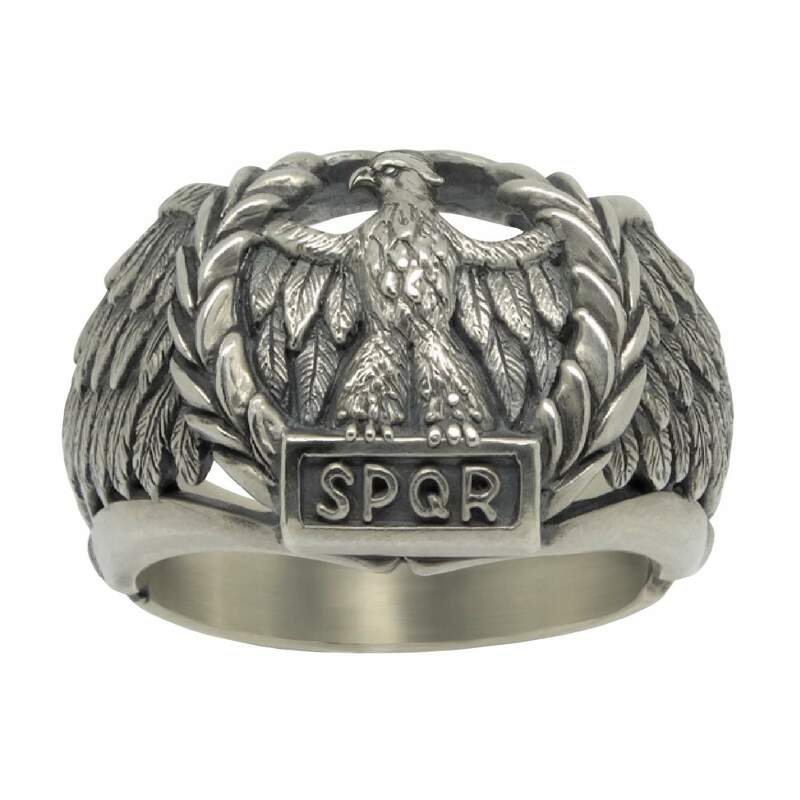 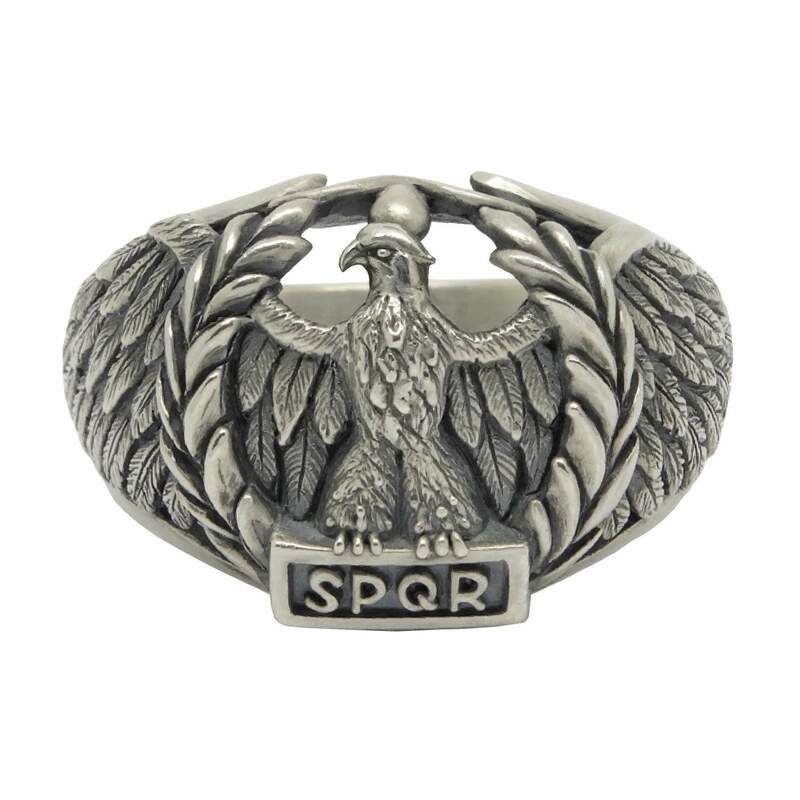 Tags: 925 Silver Ring, man gold rings, Man Jewelry, Roman Empire Eagle, Roman Empire RING, SPQR, SPQR RING. 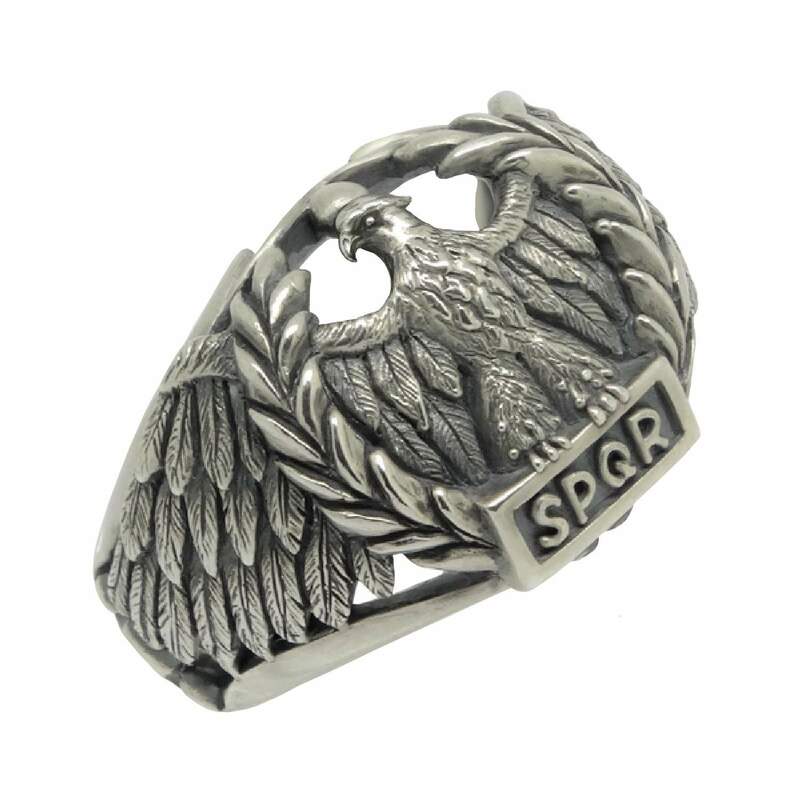 925 Sterling Silver Handmade Roman Empire Eagle SPQR style men’s ring. 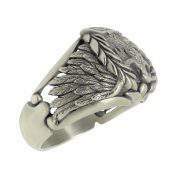 There is a very detailed and an intricately designed frame which makes the ring an extremely rare and attractive piece. 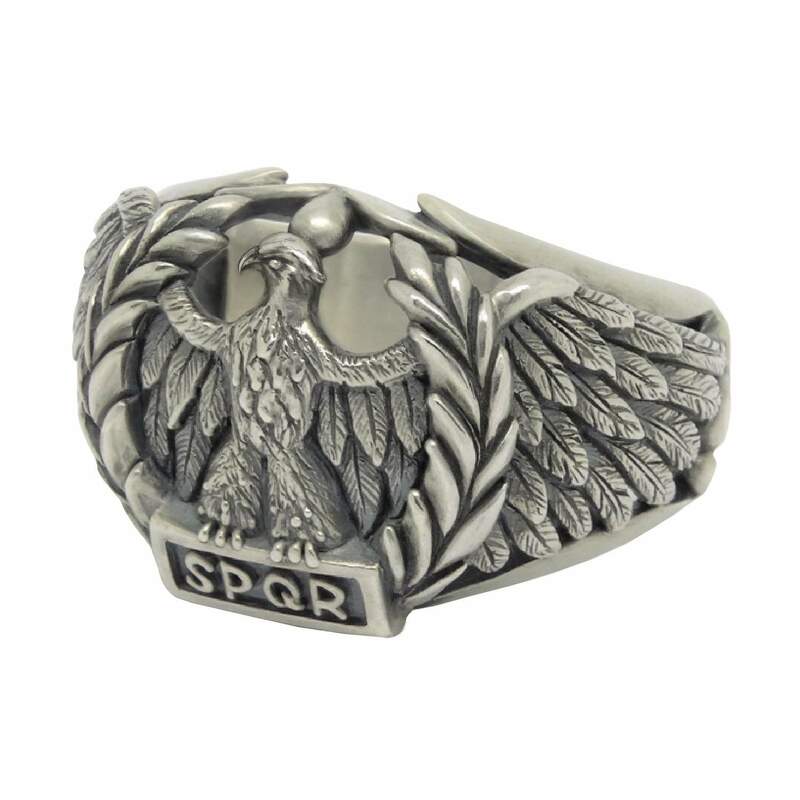 The face of the piece is crafted with the Roman Eagle with the letters S.P.Q.R in 925 Silver. 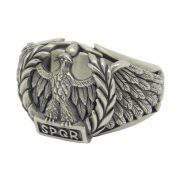 This symbol is the Vexilloid of the Roman Empire. 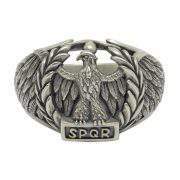 “Vexilloid” is a term used to describe vexillary (flag-like) objects used by countries, organizations, or individuals as a form of representation other than flags. 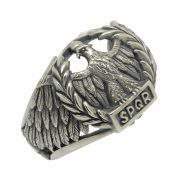 The vexillum of the Roman Empire, emblazoned with S•P•Q•R (senātus populusque Rōmānus), “senate and people of Rome”. 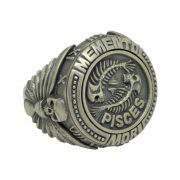 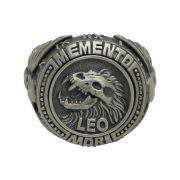 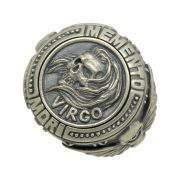 925 Sterling silver Pisces “Memento Mori” Zodiac sterling silver men’s ring zodiac skull horoscope men’s ring.